Mark Sidel is Doyle-Bascom Professor of Law and Public Affairs at the University of Wisconsin-Madison. He is also currently serving as the Charles Stewart Mott Foundation Visiting Chair in Community Foundations at the Lilly Family School of Philanthropy at Indiana University. In addition to his academic work, Sidel has served as president of the International Society for Third Sector Research (ISTR), the international academic association working to strengthen research on civil society, philanthropy and the nonprofit sector. 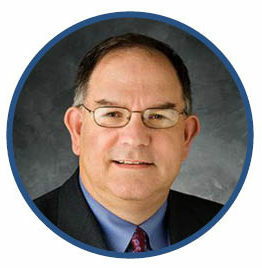 He currently serves as consultant on Asia (focusing on China, Vietnam, and India) to the International Center for Not-for-Profit Law (ICNL), including its MacArthur Foundation-funded work to assist in the development of nonprofit law in China; on the Council on Foundations Community Foundations National Standards Board, the national accrediting and standard setting body for American community foundations and trusts; and on the boards of the Association for Research on Nonprofit Organizations and Voluntary Action (ARNOVA) and the Society of American Law Teachers (SALT). Other recent advising and consulting assignments include the Bill and Melinda Gates Foundation (on philanthropic law and policy in China); the Ford Foundation (legal reform programs in China); Norwegian Centre for Human Rights (human rights and legal reform programming in China and Vietnam); DANIDA (Danish Development Cooperation, human rights and legal reform programs in Vietnam); Indevelop/SIDA (Swedish International Development Cooperation Agency, human rights programs in China); and other international and donor organizations. Professor Sidel has served as Visiting Professor of Law at Harvard Law School, Melbourne Law School, Institut d’Etudes Politiques de Paris (Sciences Po, in the “chaire Asie”), Victoria, Vermont and Miami law schools and other institutions, and as W. G. Hart Lecturer in Law at the School of Oriental and African Studies (SOAS) in the University of London. In 2008 he won the ICNL-Cordaid Civil Liberties Prize for his work on the impact of anti-terrorism law on civil society in comparative perspective, and in 2012 he was named to the Outstanding Academic Award by the Nonprofit Organizations Committee of the American Bar Association, Business Law Section. He is a graduate of Princeton University (A.B. in history, 1979), Yale University (M.A. in history, 1982), and Columbia Law School (J.D., 1985).